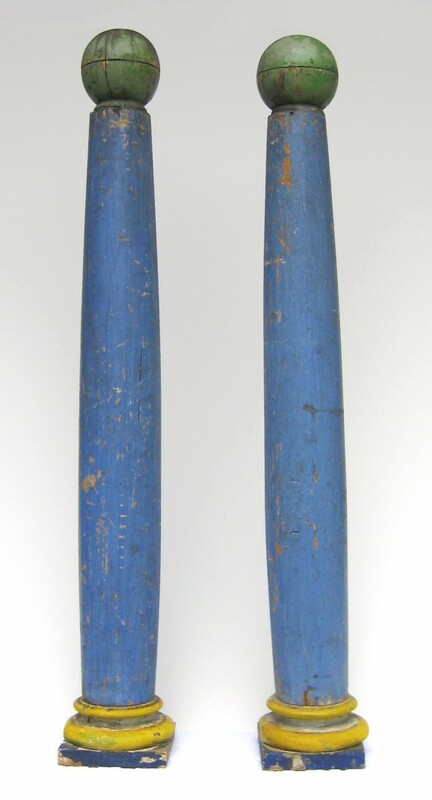 Pair of colored posts, probably late 1800’s or early 1900’s. 36 in. tall. Looks to be the original paint, or very old overpaint. 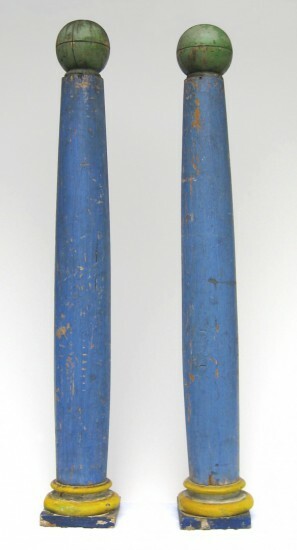 Blue is the dominant color, with green knobs on the tops, yellow near bottoms and black bases.